Keeping a Clutter-Free Kids Room with Creative QT! I received these items from Creative QT in exchange for a review. As always, opinions are honest & my own. 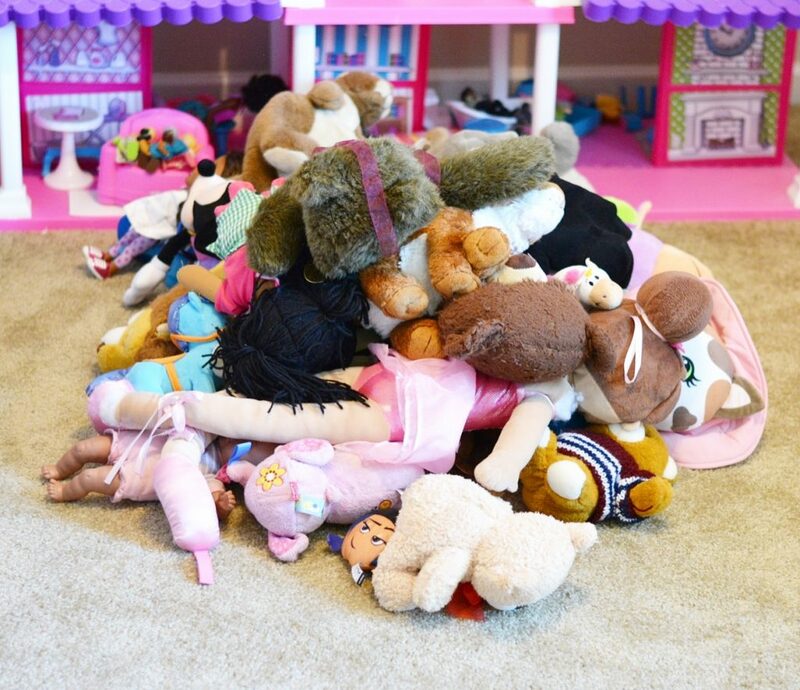 My 3 and 6 year old share a bedroom, and keeping it clean can often be an uphill battle. Our recent move gave me the opportunity to organize and sift through a lot of treasures junk the girls had acquired, in hopes of a bit of a fresh start in our new place. So far they’ve kept the room on the up and up (gloooooory!! ), but one area was still a huge issue until recently. My girls have A LOT of stuffed animal friends (this is paired down…eek! ), and until now they have been in hiding behind their beds. I was at a bit of a loss (we’ve tried that whole hanging net thing and it was a bust), until our Stuff ‘n Sit from Creative QT arrived!